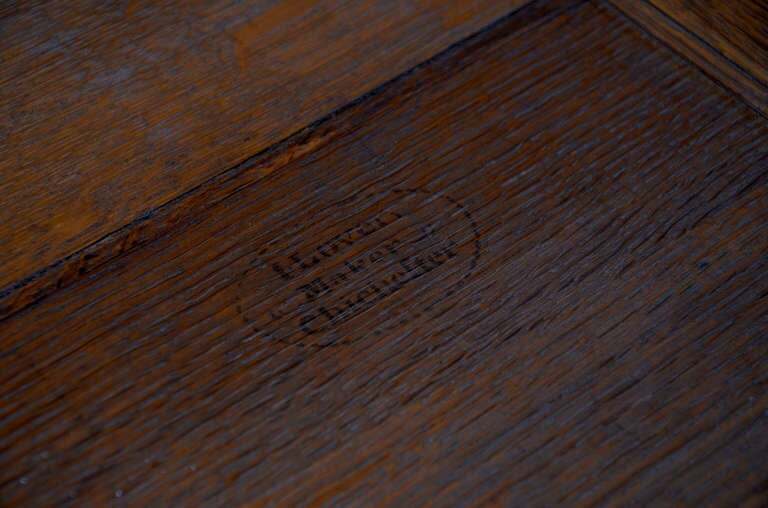 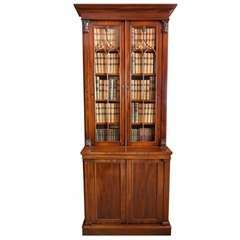 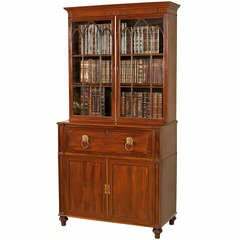 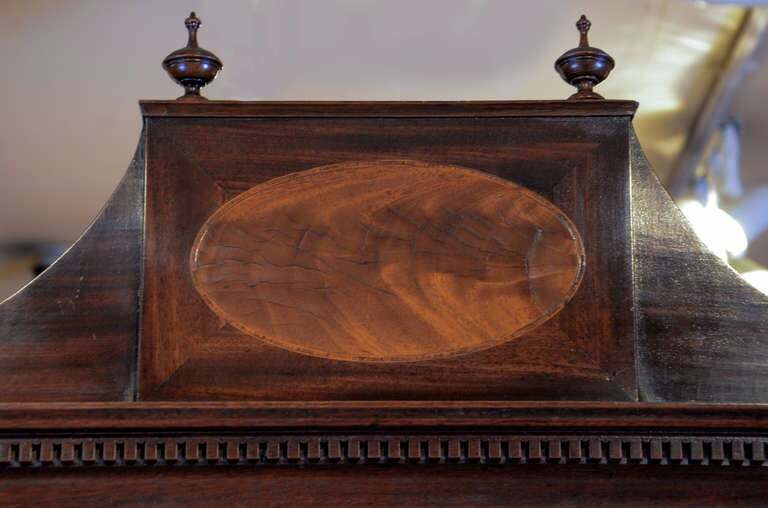 George III period mahogany and satinwood secretaire bookcase with maker's mark. 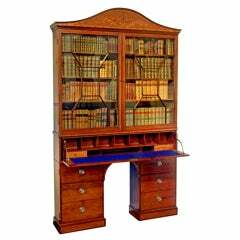 An important George III Secretaire Bookcase to designs by Thomas Sheraton, stamped on the three lower drawer linings by the maker, Lovell of Chichester. 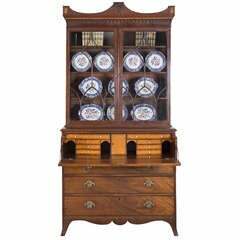 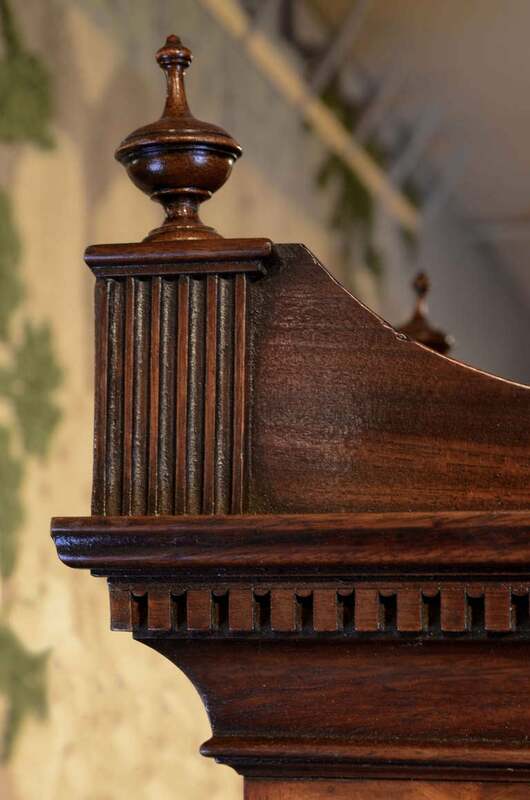 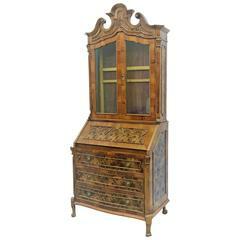 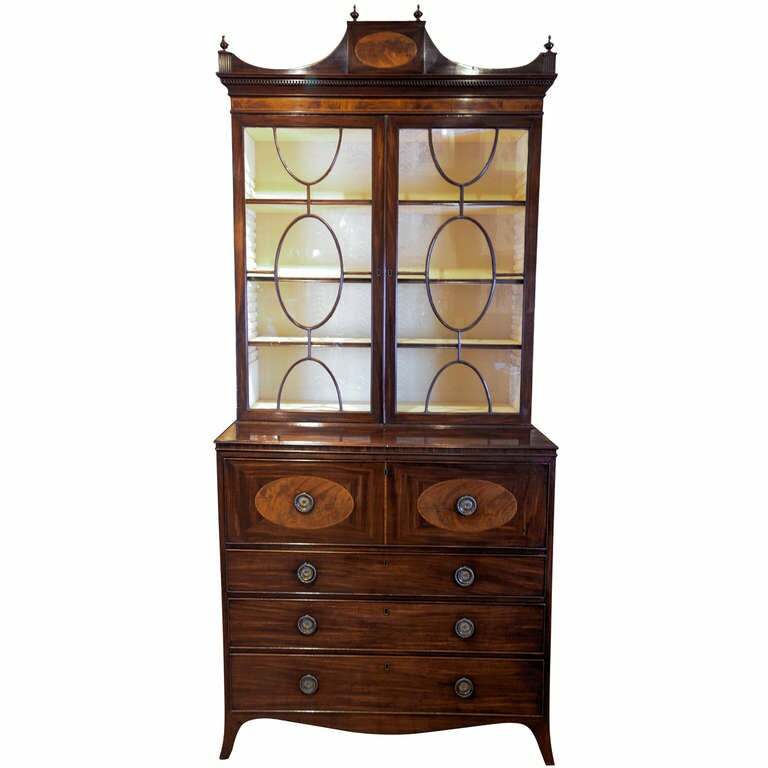 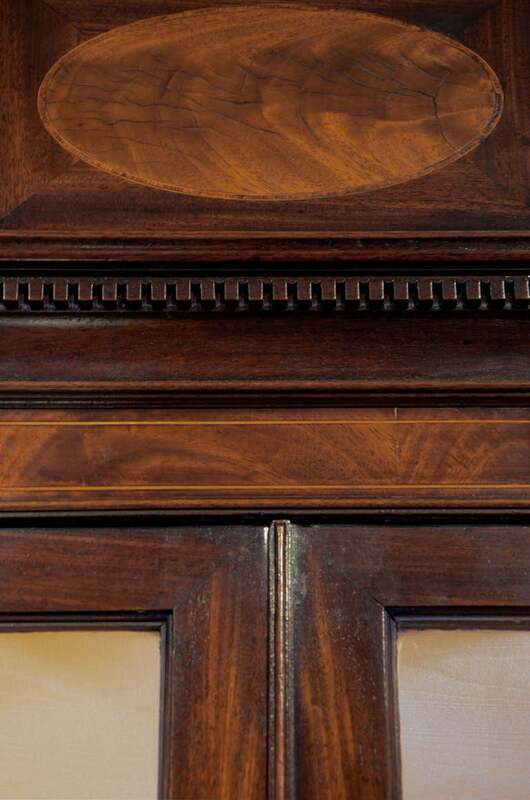 The upper part with swag shaped top cornice with central oval inlay of satinwood and six finials above a dental moulding, and two glazed doors with oval cross-grain astragal glazing strips in-front of a lined interior with adjustable shelves. 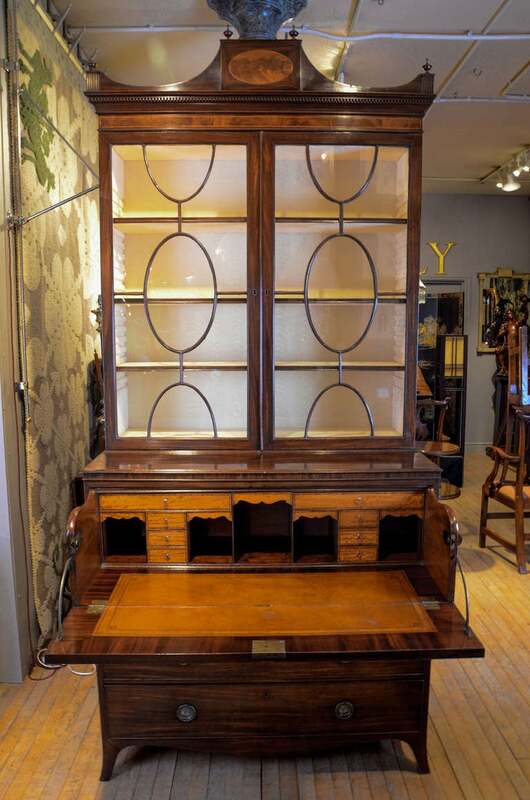 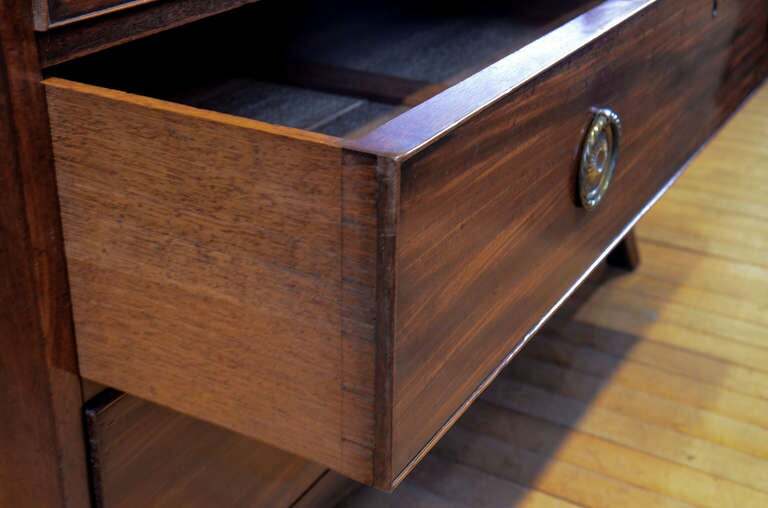 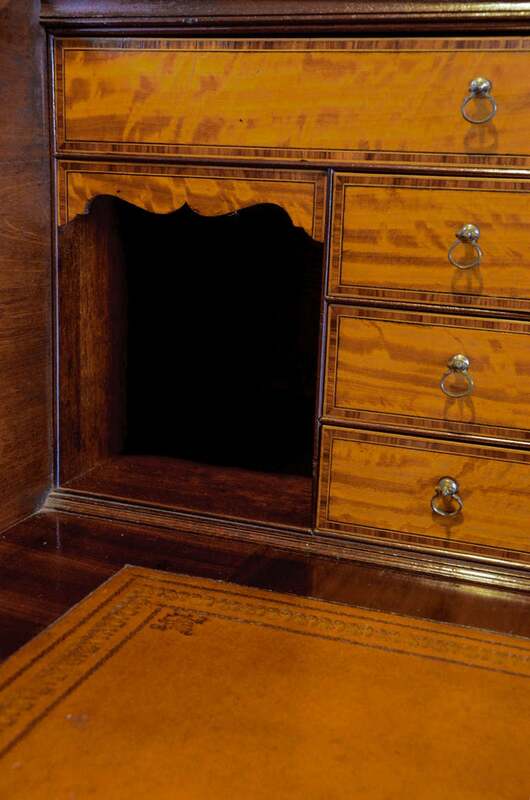 The lower section with fitted secretaire drawer, with satinwood oval inlay panels, consisting of the finest quality satinwood drawers and pigeon hole compartments and golden leather writing surface, this above three graduated drawers with serpentine apron standing on elegant splay feet. 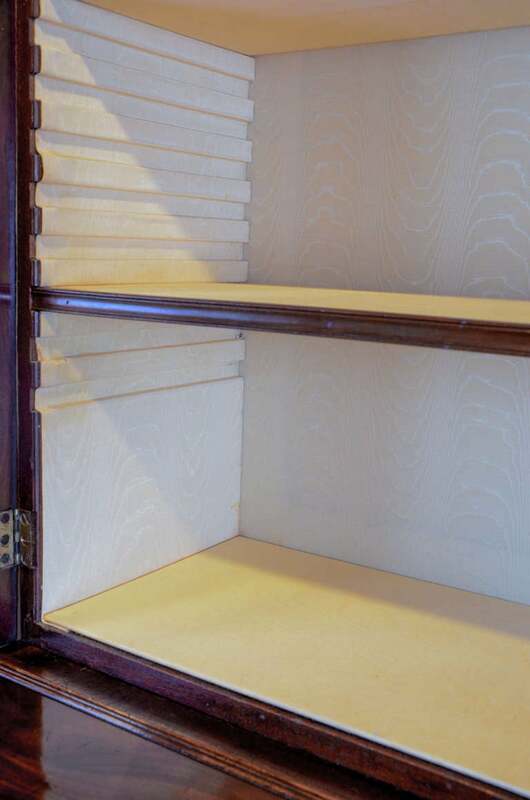 In excellent and original condition. 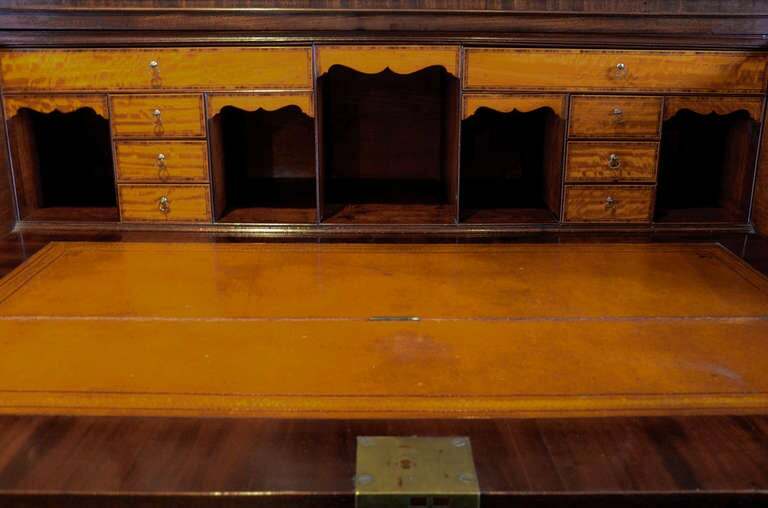 The colour of this bookcase is wonderful and rather richer than appears in these photographs. 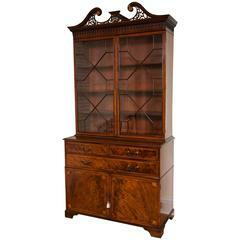 Please enquire for further details and images.